STREETSBORO, OH (WOIO) - Streetsboro police are talkin' turkey...just not the kind you would expect this close to Thanksgiving. 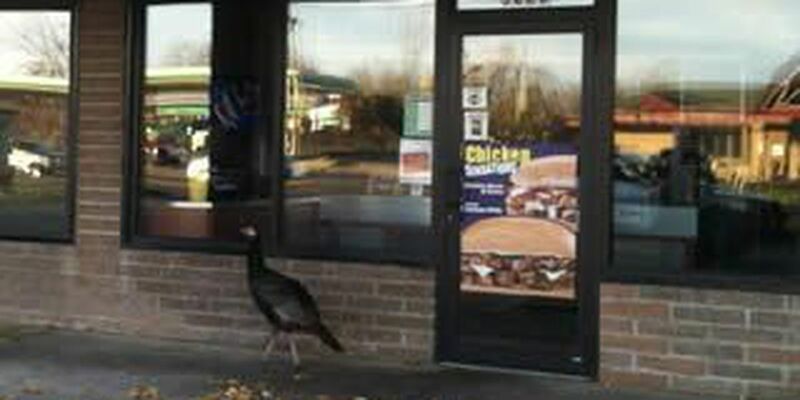 Early Friday morning, Streetsboro police responded to Walgreens on a report of a turkey refusing to leave the area. The turkey proceeded to Mr. Hero before visiting the gun store, both of which were closed at the time. The turkey was later seen retreating to a more rural area of the city. Here's hoping he can keep a low profile through the end of the month!